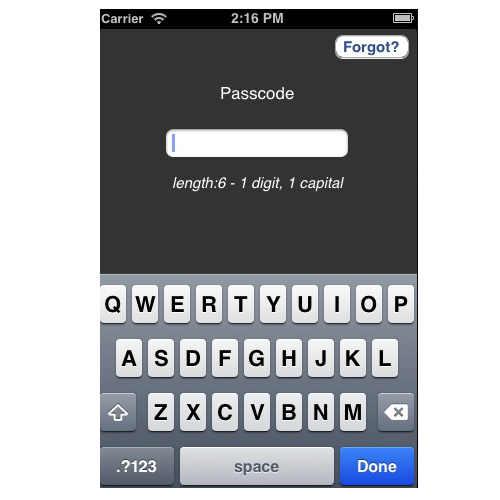 iMAS helps developers encrypt app data, prompt for passwords, prevent app tampering, and enforce enterprise policies on iOS devices. Download, compile in, and secure more. Encrypt your app's Core Data persistence store using SQLCipher. [Encrypted Core Data] is a great library, and I hope to put it into production use soon. Thank you! Prevent unauthorized users with a password or scrambled keypad prompt. [iMAS] takes considerable worry out of dealing with security, and allows us to concentrate on coding features for our customers. Register callbacks if the device is jailbroken or if a debugger is attached. [Security Check is a] very interesting project, we plan to investigate further and apply to our product. Security at the app level. 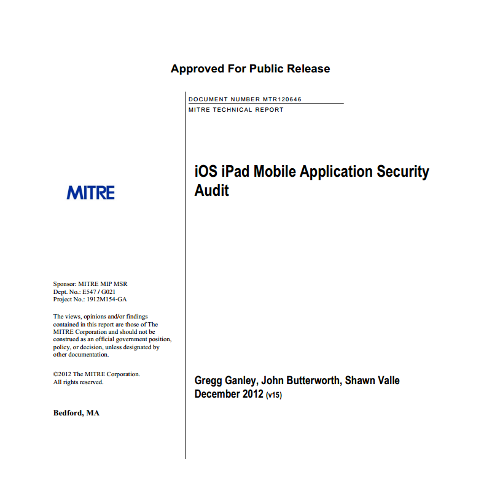 Currently, iOS has limited app-level security controls. 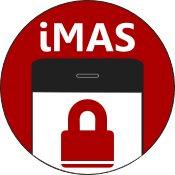 iMAS gives you common components to authenticate users, encrypt your app SQLite data, and use a secure keychain—all at the app level. Whether you need to check for jailbreaks or debuggers, mitigate against binary patching, or secure sensitive information in memory iMAS helps your app protect itself in a hostile environment. Mobile apps are increasingly being trusted with sensitive data, so it's important to keep them secure. iMAS has been used to secure healthcare data and has demonstrated a cost-effective way to add security controls to existing apps. With lots of stars and many forks, iMAS thanks GitHub developers for helping spread the word! Ensure that the device passcode is set and is sufficiently complex. Mitigate against memory editing by forcing functions to be inlined instead of referenced. Simple MDM Single Sign On solution for application level logins. iMAS is a collaborative research project from The MITRE Corporation. Code licensed under Apache 2.0 License.